Keeping warm and comfortable during the colder months while avoiding high energy costs can be a difficult balance. The benefits of using gas to heat your home not only result in lower energy bills, gas is much kinder to the environment. A ducted gas system can be individually designed for your home regardless of the size. It can even be used to warm your bathrooms. Gas heaters provide a fast and efficient form of heat during winter. 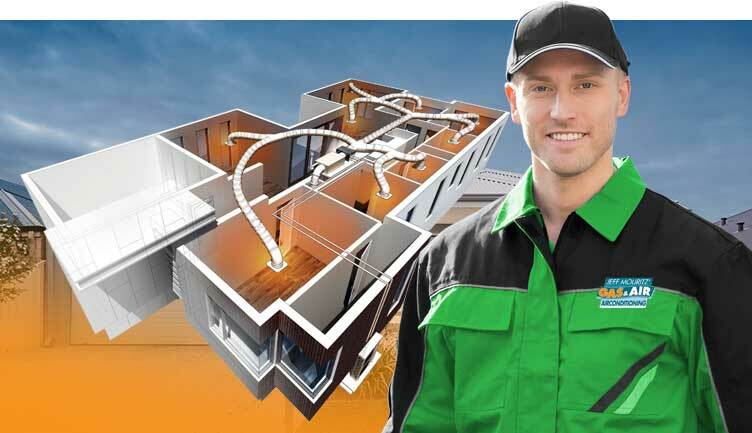 Ducted gas heating consists of a series of ducts concealed in your roof space which are connected to a heating unit. This provides a discreet form of gas heating as the ducts are hidden away. A controller is used to set the desired temperature for the entire home or depending on your requirements, the system can be zoned. Ducted gas heating systems have few moving parts. This provides a system with minimal noise and is a fantastic way to keep your family warm during the cold winter months. A system from Mouritz will add value to your home. Ducted gas heating units are often installed alongside ducted evaporative cooling systems. How Does a Ducted Gas System Work? A ducted gas system works by drawing air from your home which passes through the heater where it is warmed. The warmed air then travels through the ducts and heats each room in your home; providing a gentle and steady supply. Regular service and maintenance of your heating system will ensure it delivers peak performance and operates at optimal efficiency. Ducted systems should be service every two years. Once completed your system will have improved capacity and continue to operate safety. Giving you the confidence that when the temperatures start to drop, you will feel safe and comfortable. Gas heating systems which are poorly maintained can pose a danger to you and your family. Carbon monoxide leaks are very dangerous and it’s recommended that you have your system checked regularly, especially in winter. Regular services for your gas heater will ensure that it continues to work efficiently and safely for you and your family. Regular maintenance of you ducted gas system will not only provide a safe environment, it will also ensure that your heater continues to run efficiently, saving you money on your utility bills. Like other ducted systems, ducted gas needs to be maintained. Neglecting this can increase the potential for faults or costly repairs. Services can identify small problems before they become expensive repairs. During servicing your Mouritz technician will thoroughly inspect and test your ducted gas system, making any minor adjustments if necessary. Ensuring that all elements of your system are operating at full capacity to increase the efficiency and safety of your heater. If you need a ducted gas service or repair, Mouritz have extensive experience in the heating and cooling industry. The Mouritz team are always ready to answer any questions you have and are available to schedule an appointment at your convenience.